New Jersey is set to become a leader in offshore wind energy production in the United States. The state has positioned itself to produce more electric power through offshore wind turbines over the coming years, placing it ahead of its neighbors. Two promising projects will contribute a significant amount wind energy capacity to the state, if they manage to overcome some regulatory and financial challenges. Once completed, these two projects will produce a combined 1,700 megawatts of electrical power by 2020. A new report from Environment America highlights the potential growth of offshore wind energy in New Jersey, noting that growth of this form of clean power is beginning to outpace what is being seen in Massachusetts, Rhode Island, and Maryland. Some wind projects in the United States had been delayed due to concerns regarding the lack of federal support. 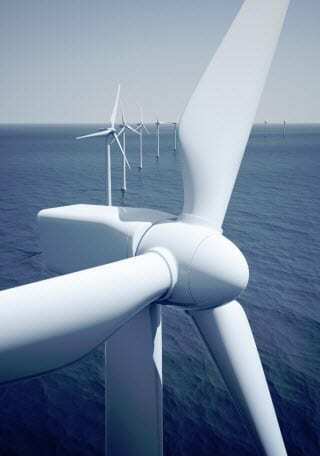 The federal government has, however, opted to renew tax credits that support the development of wind projects, including those that are located offshore. According to the Department of Energy, New Jersey is home to higher offshore wind speeds than other states, with the exception of New England states. It may also be easier to build offshore wind systems in New Jersey due to the state’s geological position. Numerous factors have come together to make the state a very attractive home for wind energy projects. In the coming years, New Jersey is expected to lead the U.S. in terms of wind energy production. Offshore wind projects have the potential to generate a massive amount of electrical power. This is because wind speeds at sea are typically stronger than those that can be found onshore. Offshore projects are expensive, however, which means that they need more financial support from the federal government. Without extended tax credits, offshore projects would have trouble taking form in the united States. It’s really sad that 1700 kW of electricity represents the leader in offshore wind energy production. However, at least it’s a step in the right direction.